NEW YORK -- Robert Vaughn, the debonair, Oscar-nominated actor whose many film roles were eclipsed by his hugely popular turn in television's "The Man From U.N.C.L.E.," has died. He was 83. "The Man From U.N.C.L.E." was an immediate hit, particularly with young people, when it debuted on NBC 1964. It was part of an avalanche of secret agent shows ("I Spy," ''Mission: Impossible," ''Secret Agent"), spoofs ("Get Smart"), books ("The Spy Who Came in From the Cold") and even songs ("Secret Agent Man") inspired by the James Bond films. Vaughn's urbane superspy Napoleon Solo teamed with Scottish actor David McCallum's Illya Kuryakin, a soft-spoken, Russian-born agent. "Girls age 9 to 12 liked David McCallum because he was so sweet," Vaughn remarked in a 2005 interview in England. "But the old ladies and the 13- to 16-year-olds liked me because I was so detached." "The Man from U.N.C.L.E." was also a big hit abroad, particularly in McCallum's native Great Britain. The show aired until early 1968, when sagging ratings brought it to an end. In his "The Man From U.N.C.L.E. Book," Jon Heitland blamed its demise on a shift from straight adventure to more comic plots in the show's third season that turned off many viewers, as well as time slot changes. In recent years, Vaughn had starred for eight seasons on the British crime-caper series "Hustle," playing Albert Stroller, the lone Yank in a band of London-based con artists. "Hustle" also aired in the U.S.
"I imagined that Napoleon Solo had retired from U.N.C.L.E., whatever U.N.C.L.E. was," Vaughn recalled in 2006. "What could he do now to use his talents and to supplement his government pension? I imagined Stroller as Napoleon Solo, The Later Years." Before "U.N.C.L.E." 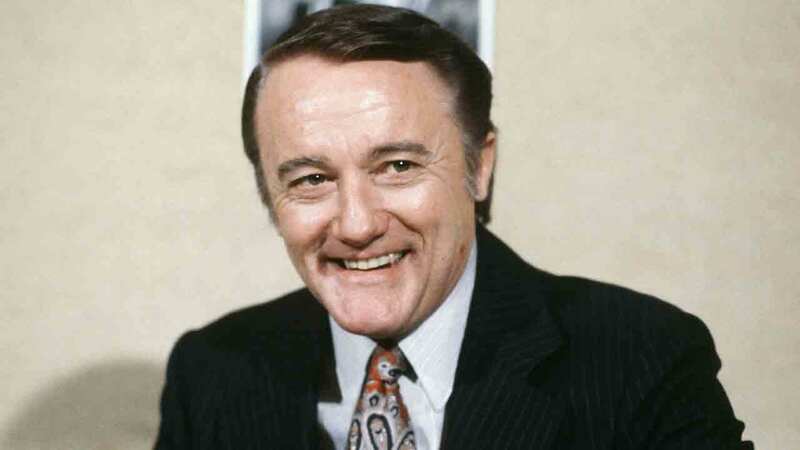 Vaughn made his mark in movies, earning an Oscar nomination in 1959 for his supporting role in "The Young Philadelphians," in which he played a wounded war veteran accused of murder. The following year, he turned in a memorable performance as a gunfighter who had lost his nerve in "The Magnificent Seven." "We had to improvise everything," he said. "I had to go to the costume department myself and choose the black vest and the black hat." A liberal Democrat, Vaughn became passionately opposed to the Vietnam War while he was making "U.N.C.L.E." and delivered anti-war speeches at colleges and other venues around the country. He also debated the war with conservative William F. Buckley on the latter's TV talk show, "Firing Line." Returning to the U.S., the actor decided to resume his education. He had already earned a bachelor's degree in theater arts from California State University, Los Angeles, in 1956, and a master's degree from the University of Southern California in 1960. He returned to USC, where he earned a Ph.D. His doctoral dissertation was an overview of the House Un-American Activities Commission's effect on American theater. It resulted in a well-received book "Only Victims: A Study of Show Business Blacklisting." Vaughn was also drawn to politics in several of the TV roles he chose. He portrayed Harry S. Truman in "The Man from Independence," Woodrow Wilson in "Backstairs at the White House" and a presidential aide in the 12-hour "Washington: Behind Closed Doors," for which he won an Emmy. He also toured in a one-man play "F.D.R." about Franklin D. Roosevelt's battles with polio. Vaughn also remained active in movies, usually in character roles. Among his films: "The Venetian Affair," ''The Bridge at Remagen," ''Julius Caesar" (the 1970 British version starring Charlton Heston), "The Towering Inferno," ''S.O.B.," ''Superman III" and "Delta Force." His parents divorced when he was only 6 months old, however, and he was sent to live with his grandparents in Minneapolis, where he said his childhood was miserable. "I cried all the time and I was always getting beat up." After his grandparents died, Vaughn moved to Los Angeles. Spotted in a college play, he was signed to a contract with Burt Lancaster's company but was soon drafted into the Army. After his discharge in 1957, he made his first movie, "No Time to Be Young." Long among Hollywood's most eligible bachelors, Vaughn married actress Linda Staab in 1974. "The breaks all fell my way," said Vaughn in 2006. "Not according to my wife," Vaughn chuckled. "She's married to the guy who doesn't take the garbage out on Tuesday evenings, the guy she battles with to get me out of my jumpsuit and running shoes. She doesn't allow me in public unless I wear a tie and a coat."